Hello readers, and welcome back to my blog. Or welcome for the first time if you’ve just stumbled across it. I haven’t written for a few days because I really haven’t been very well. I was diagnosed on Monday with inflammation of the cartilage near my left lung, which causes me severe chest pain whenever I move or do anything with my left side. 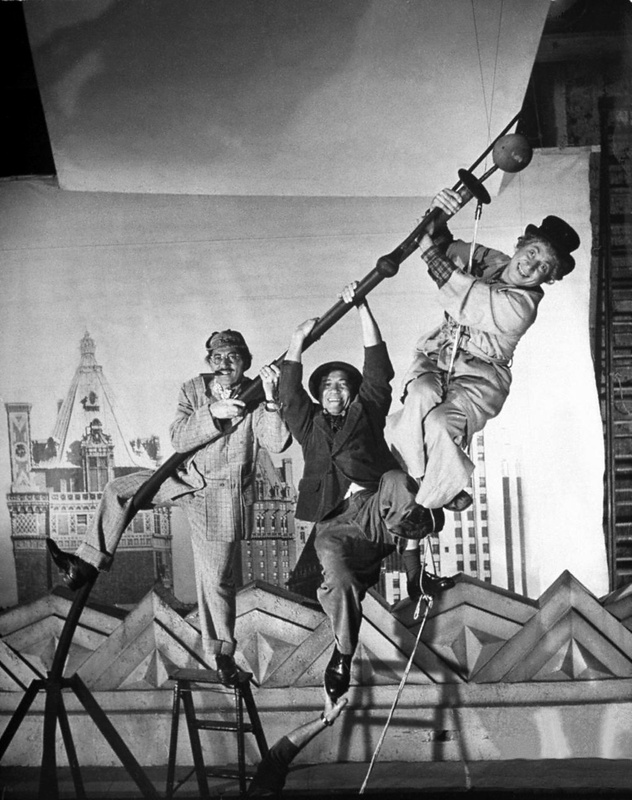 This means I can’t go out and volunteer, or go to work (if I had work to go to), so instead I’ve been doing some comfort viewing. There’s nothing like it! It works out at about 2 films, or 5 TV episodes per ‘take-a-pill’ break. 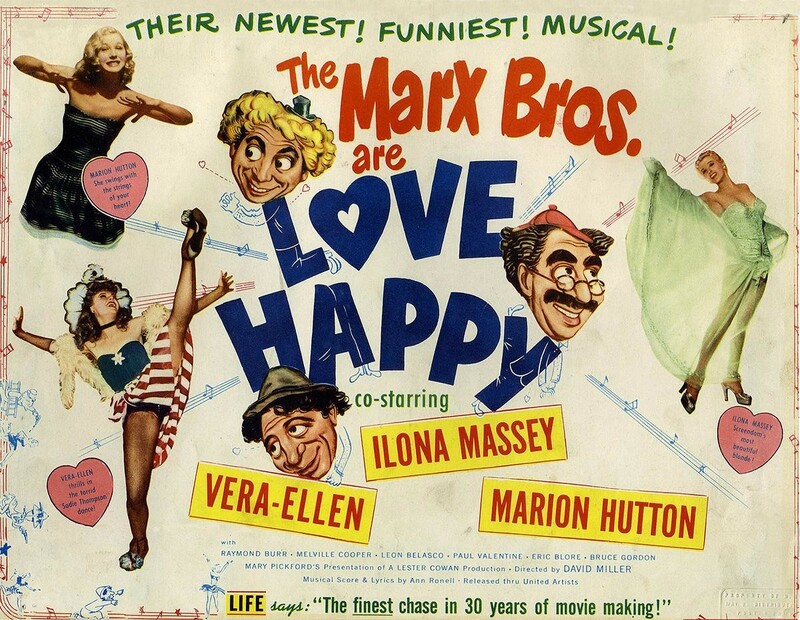 On Monday I crashed on the sofa and watched Marx Brothers films all afternoon. 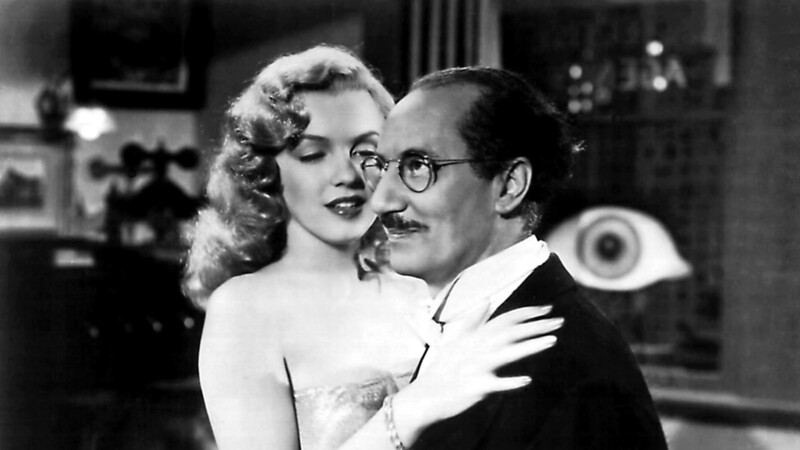 I watched three in total, starting with Monkey Business (an early one with Zeppo), then a Groucho-only film called A Girl In Every Port, and finished up with the last official Marx Brothers film ever made, 1949’s Love Happy, co-starring Vera-Ellen, Marion Hutton, and a brief cameo from none other than Marilyn Monroe! 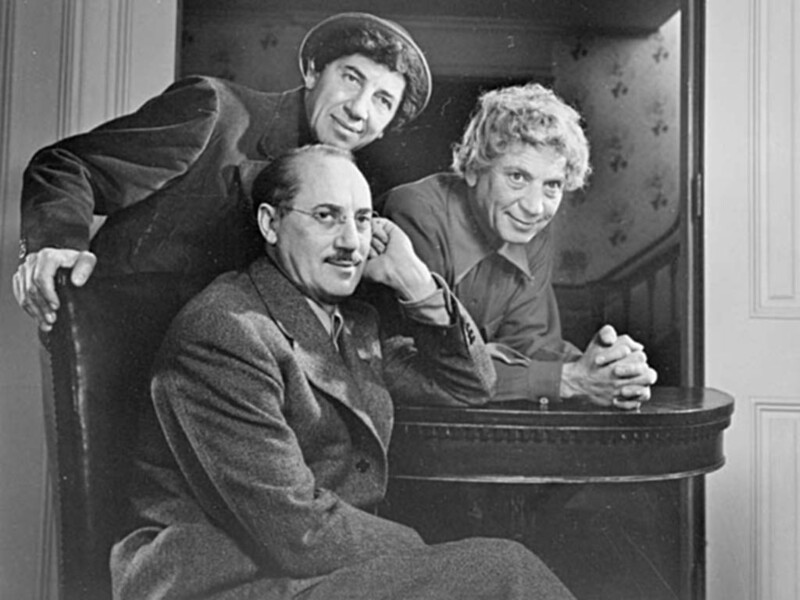 So, as a way of cheering up those mid-week blues, I present to you my comfort viewing (day one) – the Marx Brothers!